Not enough time or money to make a trip to Tokyo? Don’t fret. Here are some speciality Japanese snacks you can get in Singapore – no plane ticket required. Whether they’re toasted or dipped in chocolate sauce, marshmallows have always been a favourite snack of mine. And what’s not to love about them? They’re soft, sweet and super snack-worthy. 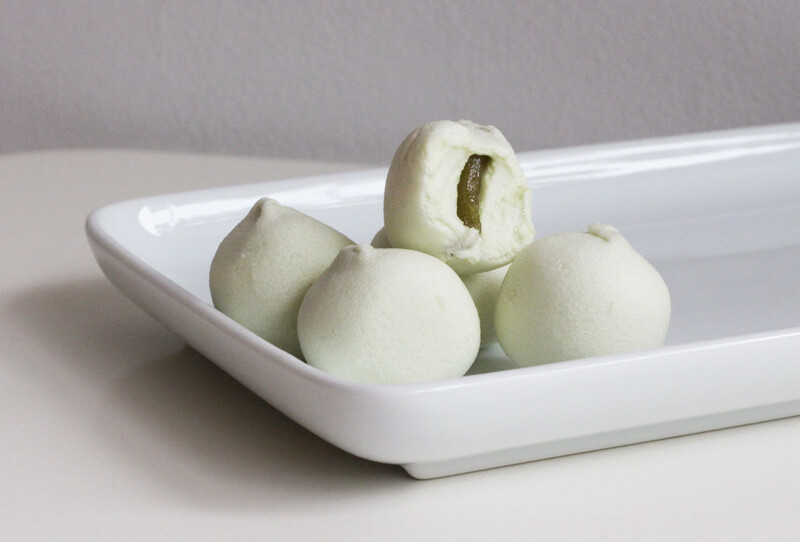 Unlike traditional cylinder-shaped white marshmallows, the Eiwa Matcha Marshmallows are shaped like cute little blobs with a greenish tinge (because matcha). One bite into these soft, pillowy marshmallows will reveal a green tea-flavoured jam centre, adding a welcome burst of flavour. The best part about these marshmallows? They’re not too sweet, but still have enough flavour to satisfy any sugar cravings. Don’t be surprised if you end up popping the entire pack in one sitting. Despite its popular classic flavours like Strawberry and Chocolate, Pocky has constantly raised the bar with new flavours and variations to the familiar snack. 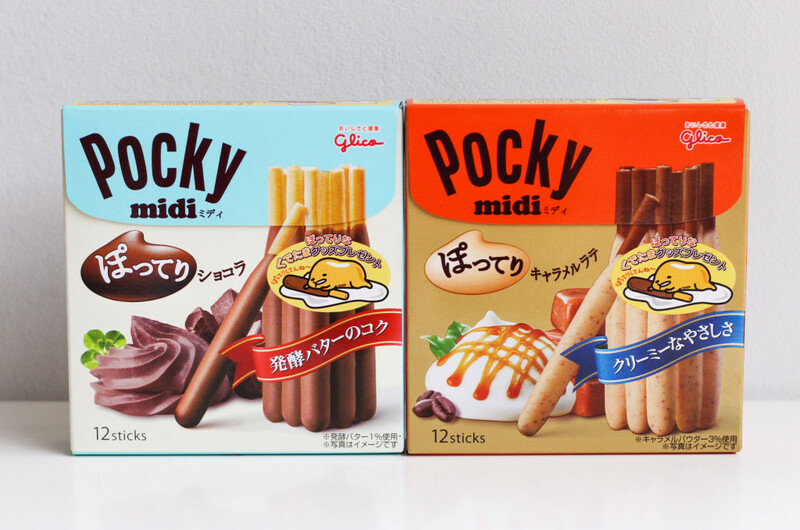 If you’re the type that prefers more cream than biscuit, you have to try Pocky Midi, which is basically a more deluxe version of Pocky. The biscuit portion is shorter and thicker, and every stick is coated with twice the amount of cream. Can we now take a moment to thank the geniuses who came up with this idea? 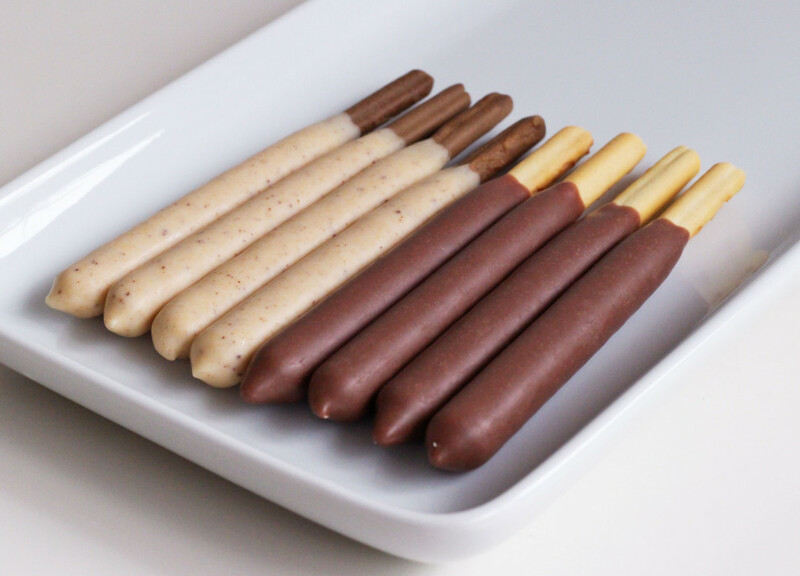 Pocky Midi comes in classic flavours like Chocolate, Matcha and Strawberry, but look out for seasonal flavours such as Caramel and Chocolate Banana as well. 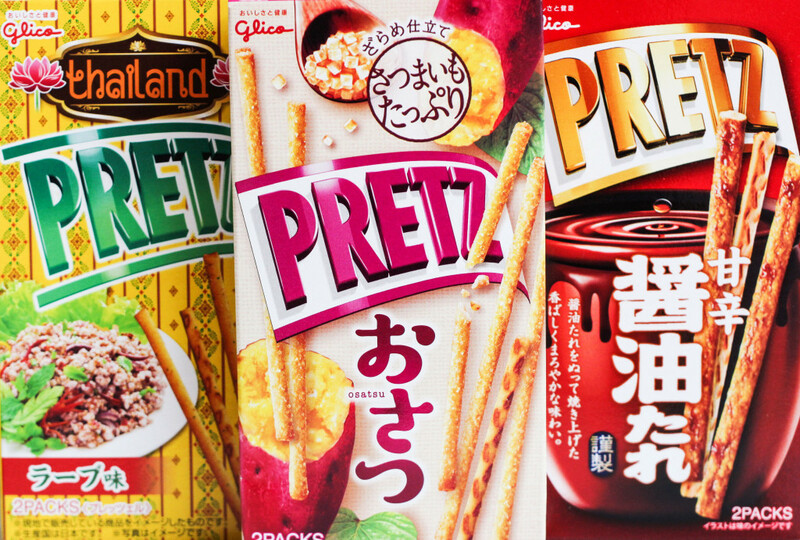 If you’re more into salty than sweet snacks, you’ll love Pretz, which is pretty much like a savoury version of Pocky. In fact, we hear that the idea for Pocky was inspired by Pretz – which is no surprise, seeing as how both snacks are owned by the same company. 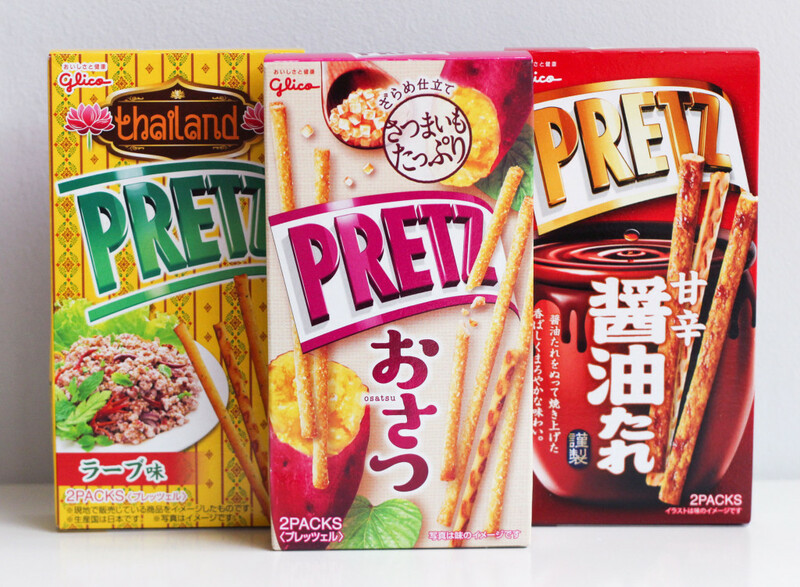 Although Pretz’s classic flavours like Tomato and Pizza are super addictive, the real satisfaction lies in hunting down speciality flavours like Sweet Potato and Spicy Thai. Pretz also has a seasonal Takoyaki flavour, which even comes with Takoyaki sauce to drizzle on the sticks. And that my friends, is how Japanese snacks #levelup. Stash a box of these in your bag for when you need a sugar boost. What’s that saying about good things coming in small packages? 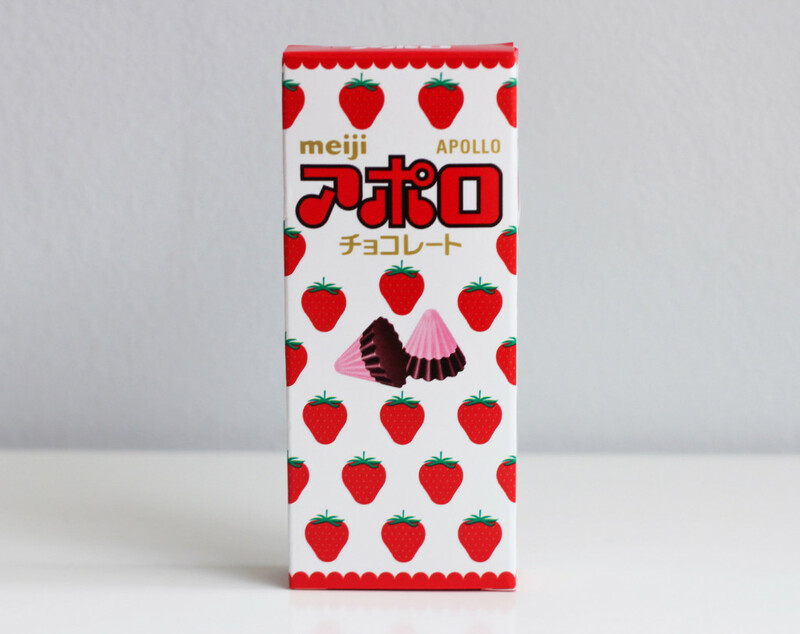 Well, Meiji’s Apollo Strawberry Chocolate candies are no diamond rings (sadly), but they’ll definitely bring you plenty of happiness. Like most Japanese snacks, the crayon tip-like candies are almost too cute to eat. Almost. 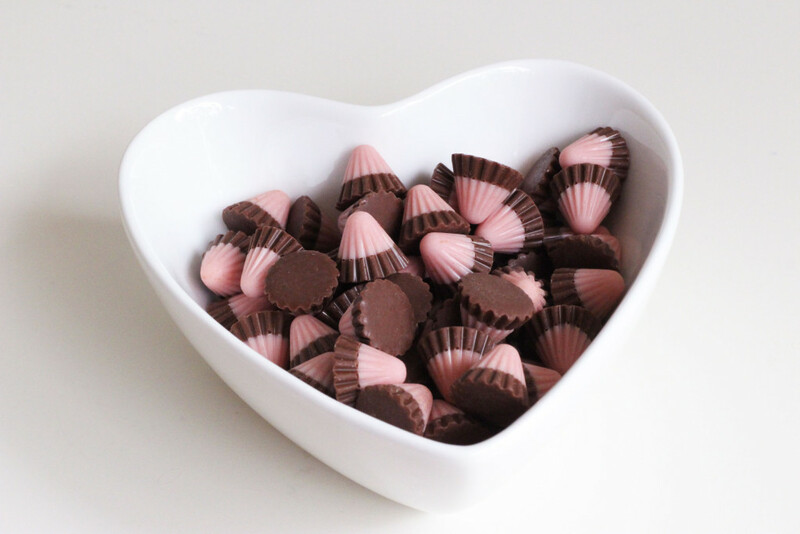 Taste-wise, the candies are an equal blend of chocolate and strawberry – which is nice, because most chocolate and strawberry flavoured snacks tend to be overpowered by either flavour. They also melt easily in your mouth, and are sweet without being cloying. 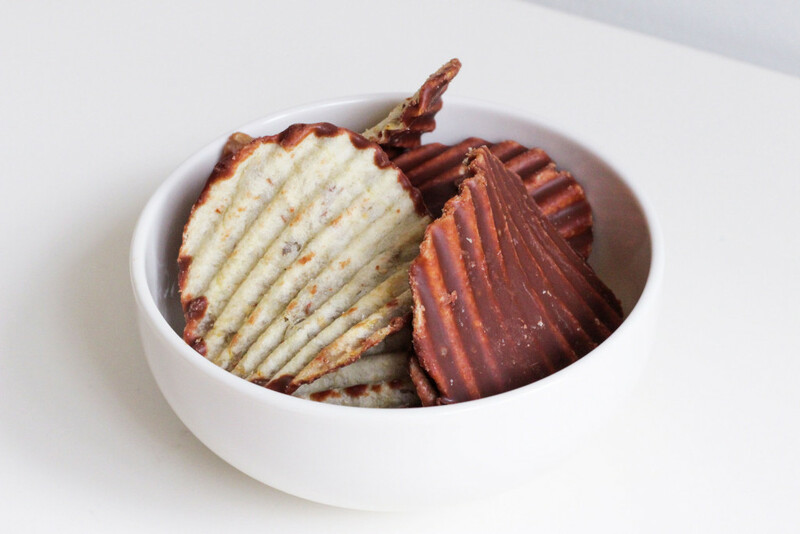 Chocolate-covered potato chips may not be the most conventional (or healthiest) of snacks, but boy are these good. I mean, crinkle cut potato chips covered with a rich Royce chocolate coating? Where do I sign up? 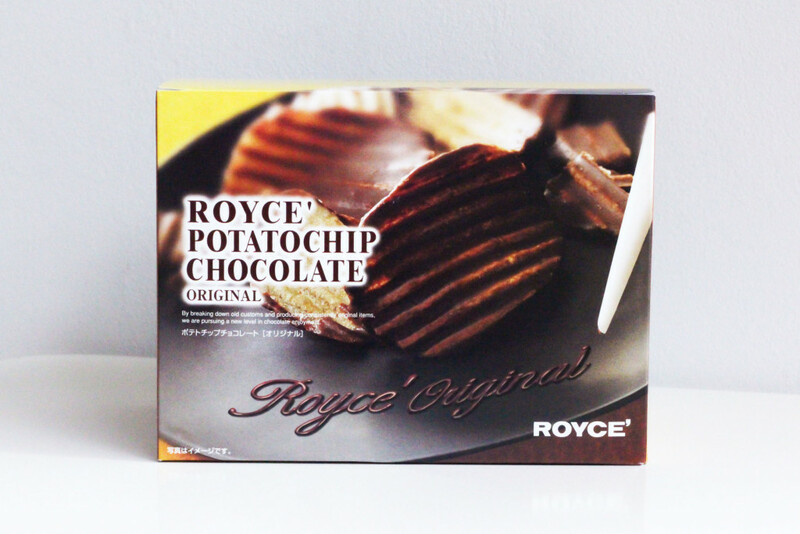 Admittedly, Royce is not the only brand in the market that offers chocolate-covered potato chips, but they definitely do them right. For starters, the potato chips are only coated with chocolate on one side, so these bad boys are the perfect blend of sweet and salty. Ahh…these Japanese snacks, always so thoughtful. The perfect companion to a night of binge-watching your favourite shows. $4.80 for a pack of 6 | Available at Meidi-Ya Supermarket. 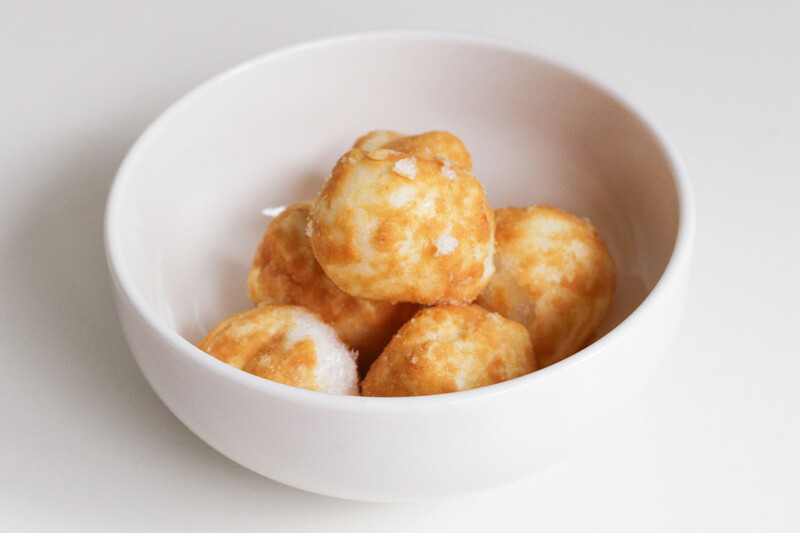 These Funwari-Meijin Kinako Sembei (roasted soybean puff balls) may look and sound a bit odd, but here’s where not judging a book by its cover comes in handy. 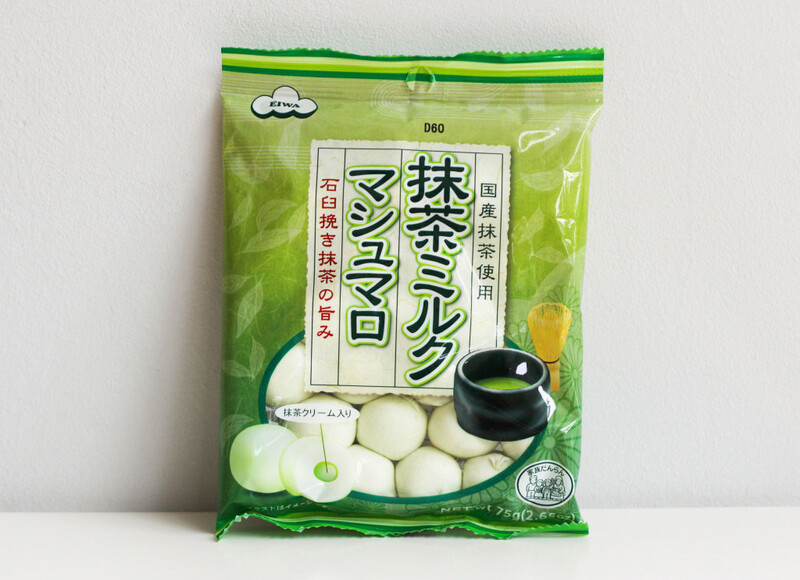 If you love warabi mochi, then this snack is definitely up your alley. 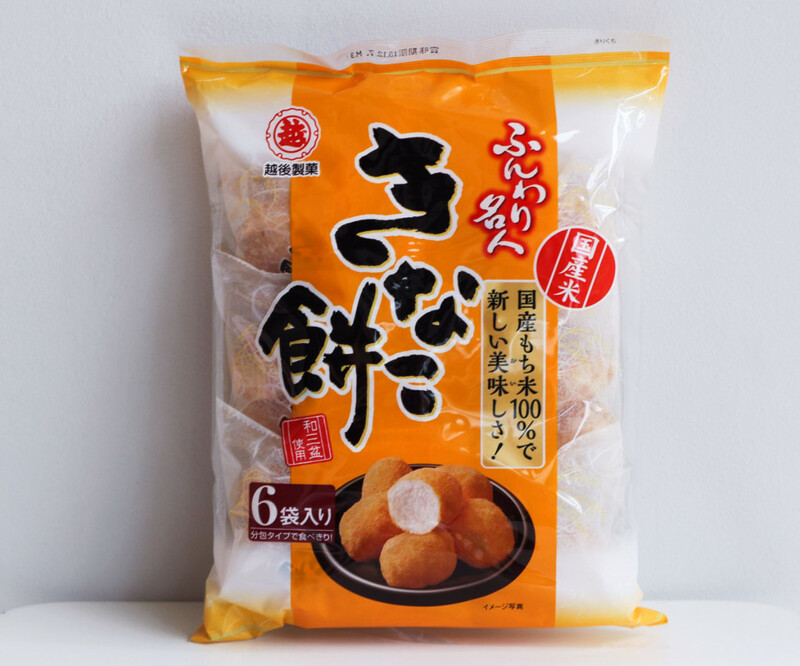 The flavour is reminiscent of kinako (roasted soybean powder), which is commonly paired with warabi mochi. Texture-wise, the puffs are really light and airy – so much so that you can probably wolf down the entire pack without feeling sick. They are a little messy to eat though (not gonna lie, there will be powder and crumbs everywhere) but hey, that’s what napkins are for right? The puffs also come in individual packs, so you don’t have to worry about them going stale. 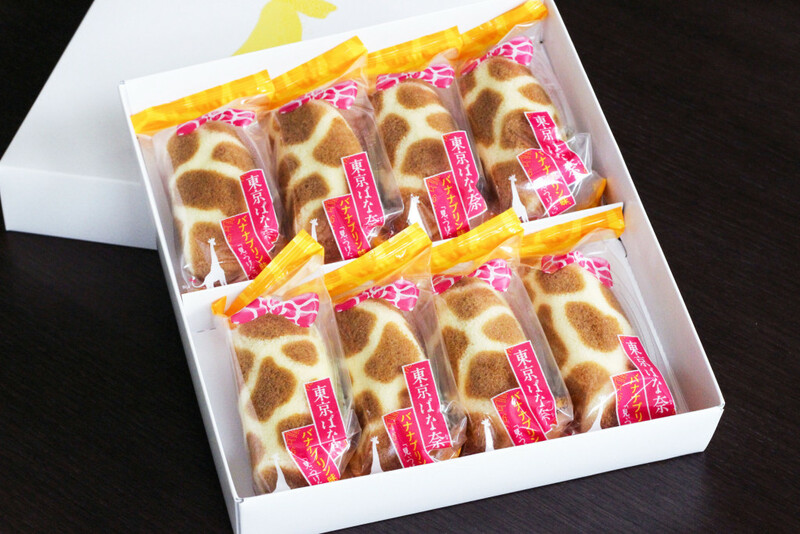 Tokyo Banana is one of those Japanese snacks that make the perfect gift – it’s tasty, unique and downright kawaii. It also makes for a great pick-me-up, if you’re having one of those days – there there, nothing a cute Japanese snack can’t fix. 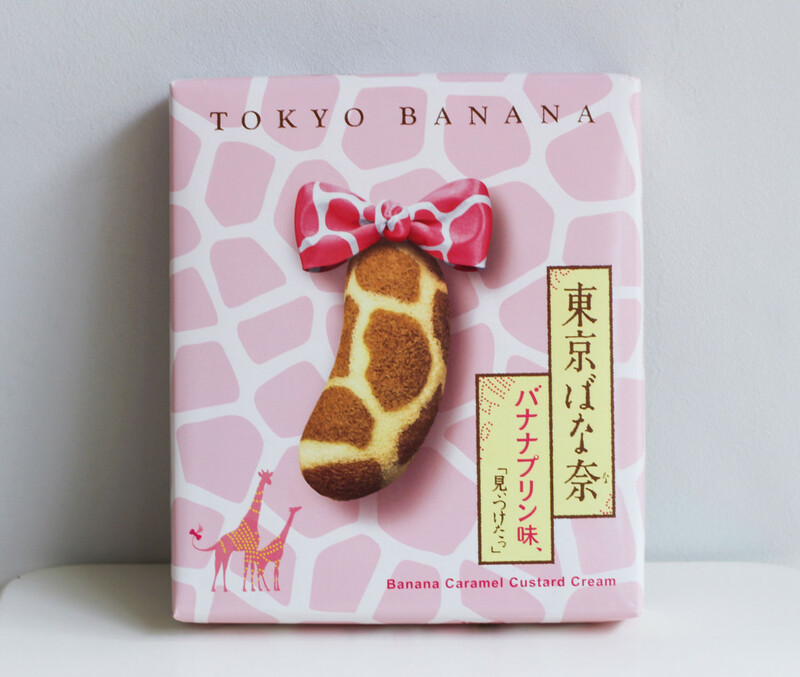 Tokyo Banana comes in several flavours, but we love the Caramel Custard one best (and not just because it has a cute giraffe print). Instead of the usual banana-flavoured cream centre, this updated version has a caramel custard centre that oozes out unapologetically with each bite. The soft and fluffy sponge cake also complements the filling well, as the banana flavouring is not too overpowering or sweet. Our only grouse with Tokyo Banana is that they aren’t readily stocked at our favourite Japanese supermarkets, as they have to be consumed within a week. You can pre-order them here and get them delivered to your home though. 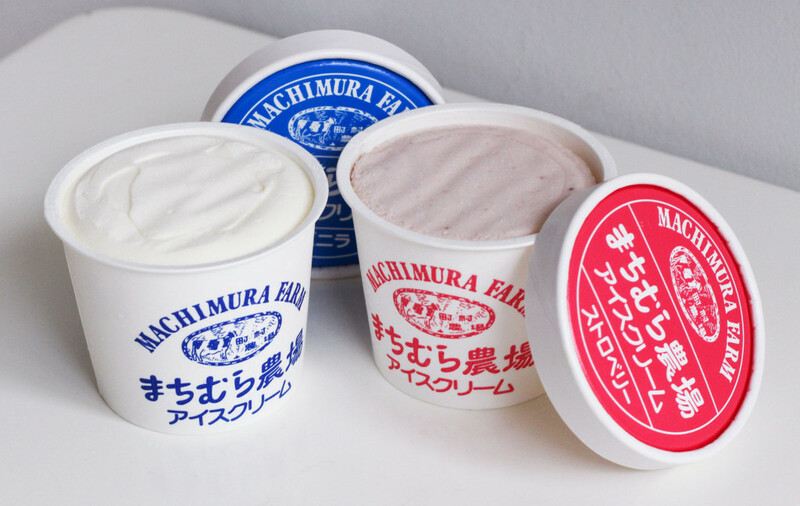 Machimura Farm Milk Ice Cream is available in Milk, Strawberry and Chocolate. When it comes to ice cream, I say there’s no such thing as too much of it. Especially if it’s Japanese ice cream we’re talking about. 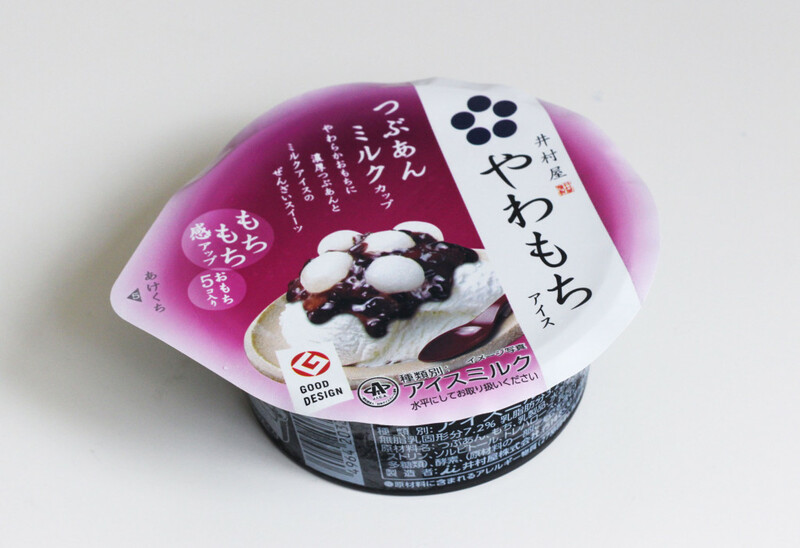 If you love Hokkaido milk ice cream anything, you will be pleased to know that you don’t have to wait for one of Isetan’s Hokkaido food fairs to get your fix. 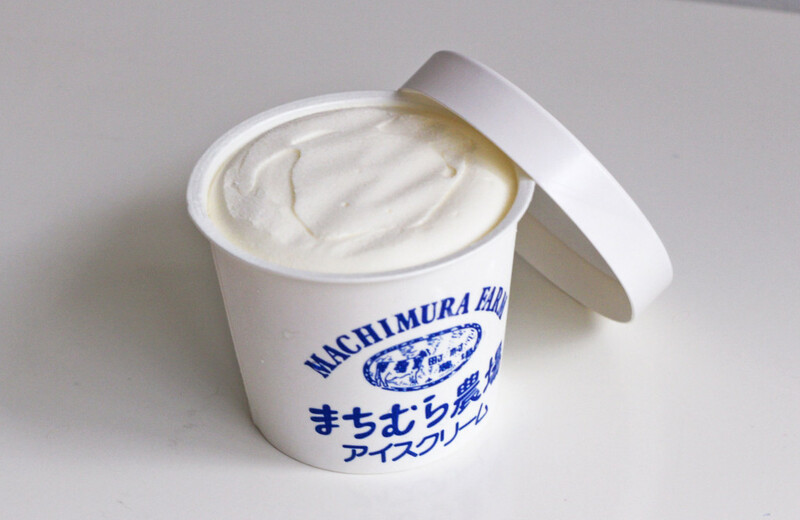 The next time you’re craving a milky treat, try Machimura Farm Milk Ice Cream, which is readily available at Meidi-Ya Supermarket. If we’re being honest though – it’s probably not as good as fresh Hokkaido milk soft serve, but it definitely makes for a good substitute. The ice cream is rich, creamy and leaves a delicious milky aftertaste. The tubs are quite small though, so stock up on a few while you can. These milky treats will tide you through any cravings or bad days. While we’re on the topic of Japanese milk products, who else is a sucker for milk pudding? Sadly, most Japanese restaurants in Singapore don’t seem to serve it (but whyyyy). However, there is a supermarket alternative to it – and it’s not too expensive either. 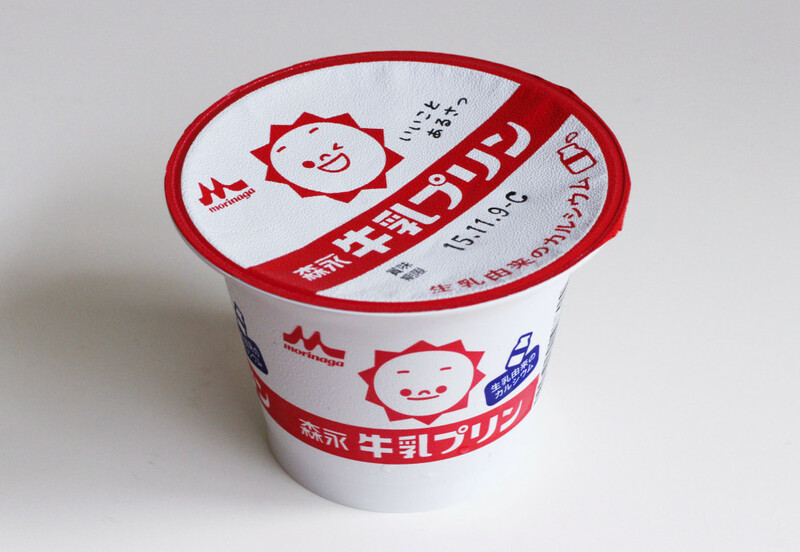 It may not be freshly made, but Morinaga’s Vanilla Milk Pudding is ever so smooth and silky. In fact, it’s so smooth that it almost feels criminal to dig your spoon into the pudding. 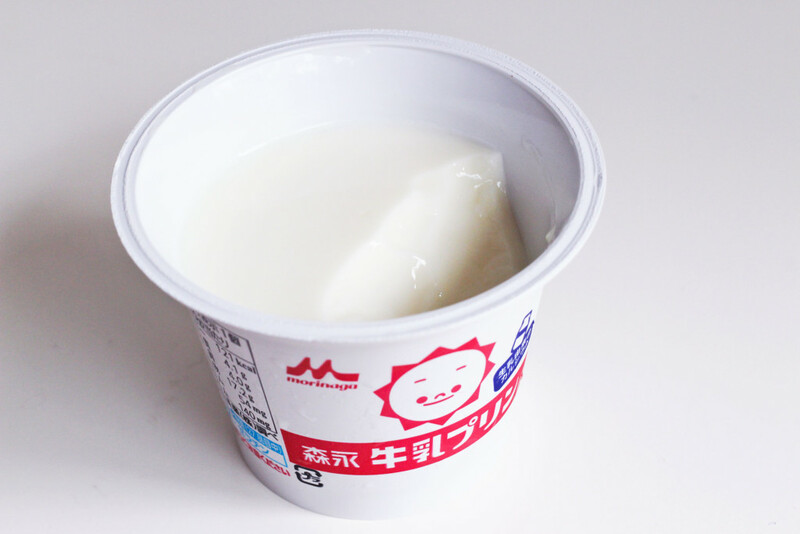 It also has a light and creamy vanilla taste, which is quite similar to your standard Hokkaido milk pudding. There’s nothing we love more than ending a Japanese meal with an Anmitsu Parfait, but our wallets have us indulging in it less than we want. Thankfully though, Imuraya’s pre-packed ice cream parfaits are able to tide us through these tough times. Obviously, it’s not as spectacular as the Instaworthy parfaits at Tsujiri, but for $2.90 a cup who’s complaining. Underwhelming appearance aside, Imuraya’s ice cream parfaits are pretty much as close to the real thing as you can get at the supermarket. 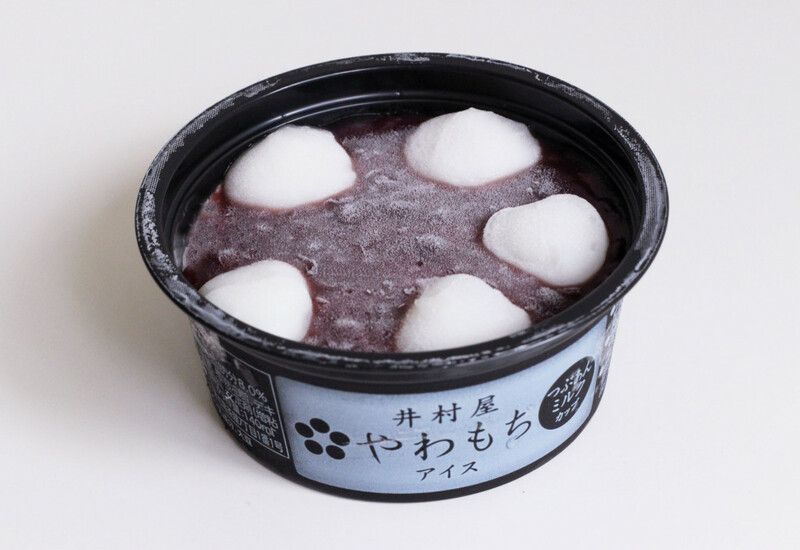 Glorious heaps of red bean paste cover the top of the tub, periodically dotted by chewy mochi balls. Despite being of the frozen variety, the mochi balls are surprisingly soft and gooey, with a melt-in-your-mouth consistency. Under all that goodness lies the real star of the dessert – the ice cream, which comes in either Milk or Matcha flavour. The best way to eat this little cup of goodness? Let the dessert thaw a bit, then mix the red bean paste with the ice cream. Post-dinner treat, checked. 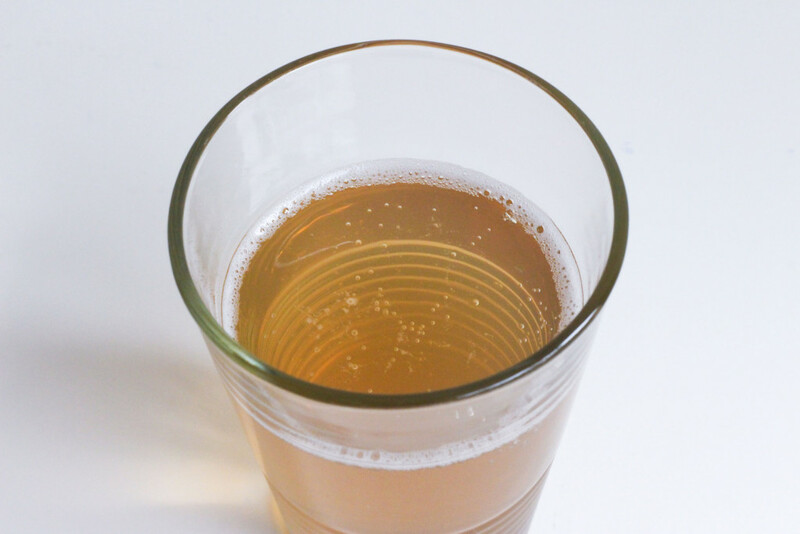 Okay so Kaga Boucha cider technically isn’t a snack, but you’ll need something to wash down all those chips and chocolates right? Kaga Boucha is basically roasted twig tea (‘Kaga’ is the name of a Japanese city, while ‘Boucha’ refers to stick tea), which has a nutty roasted flavour. 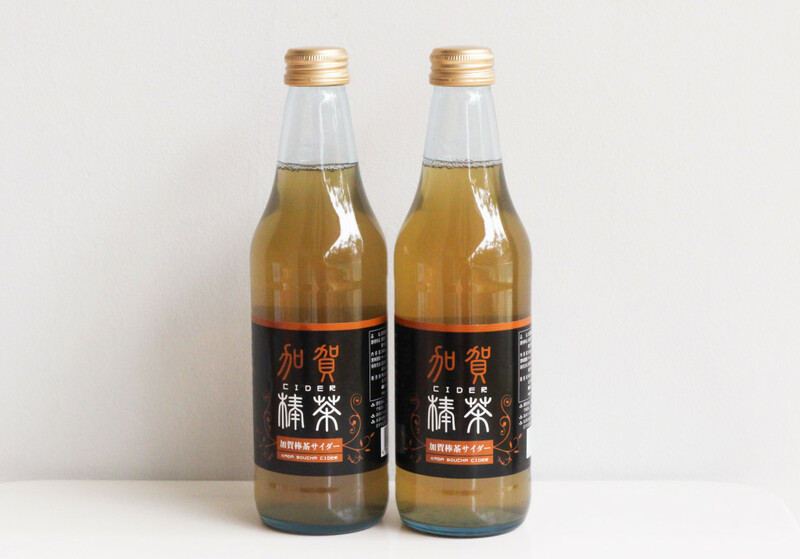 Unlike typical soft drinks, Kaga Boucha cider isn’t sickeningly sweet. In fact, it’s somewhat refreshing and leaves a unique aftertaste. If you’re more into fruity flavours, try the Yuzu version of the cider, which is also available at Isetan Scotts Supermarket. You got a great post! Would you by chance know where to get the best Hokkaido mild candy – the hard ones.